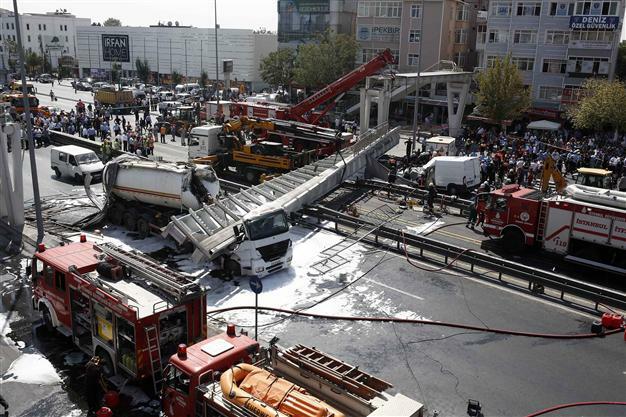 Recently in Instanbul, a raised dump truck hit and collapsed a bridge on a busy E-5 highway. The incident ended up injuring 4 and killing one. 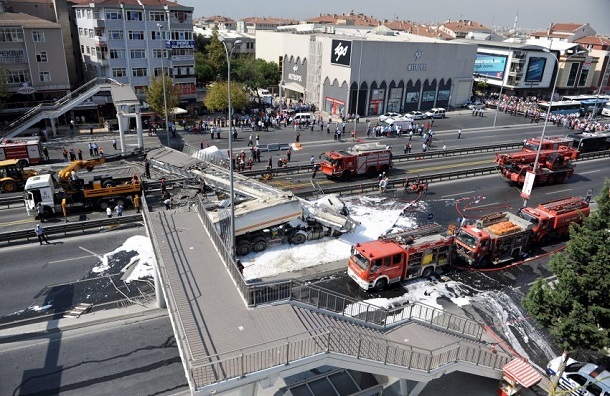 Over the years, Istanbul has become notorious for these type of reports. Just 4 years ago, a similarly devastating accident took place when a truck slammed into a pedestrian walkway bridge. This, not surprisingly, leads us to wonder: what in the hell is going on with the drivers and highway system over there in Turkey? This entry was posted in Video and tagged bridge, collapse, dump truck, live leak, raised bed. Bookmark the permalink.